A collaborative effort using products designed by Alarm.com and Quallcom Technology Inc, the system involves drones mapping out “complex activity patterns” of a property and responding to unexpected events such as a home invasion. According to Alarm, the sensor-driven security program applies “machine-learning algorithms” via its Insights Engine. The Virginia-based company provides video monitoring services and products which users can control remotely. 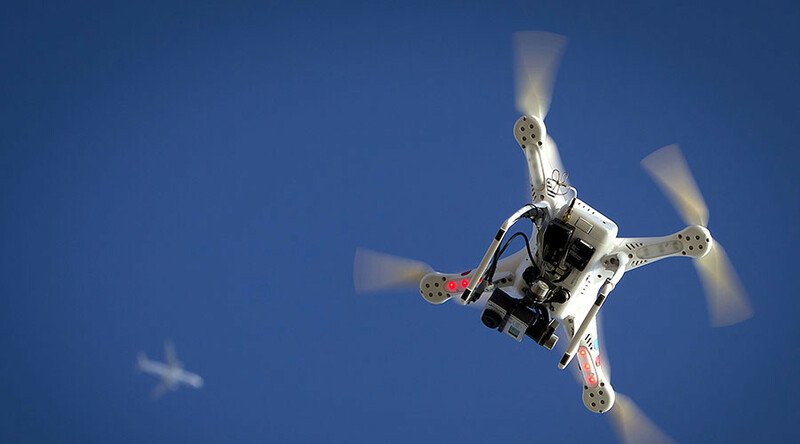 The Insight Engine would be applied to video-enabled autonomous copters using Qualcomm Snapdragon Flight software. The security system also sends push notifications to a homeowner’s smartphone or digital device. Meanwhile, examples provided by Alarm reveal how users could conceivably lock down their whole house at the click of a button. “A home’s front door is typically locked by 7:30pm on weekdays and 9:00pm on weekends. While out at dinner, the homeowners receive a notification that the door is still unlocked at 9:15pm on Saturday, and realize that the babysitter has forgotten to lock it. Acting on this information, they lock the door remotely using their Alarm.com app,” the Alarm website explains. The impressive – but also quite alarming – platform appears to be the latest in a home automation trend. Alarm says the system would include “strict, opt-in privacy controls”. It was unveiled at the CES 2017 conference, which featured keynote speeches from Richard Yu of Huawei and the CEO of Nissan, but no release date has been set for the product. “Our intelligent drone deployment system will be designed to provide targeted video in response to specific events around a property – augmenting fixed location cameras and enhancing the active security perimeter for homes and businesses,”said Daniel Kerzner, Alarm.com chief product officer. Hugo Swart, of Qualcomm Technologies Inc, added:“This is a very interesting application for drones, which at their core are essentially flying cameras”.